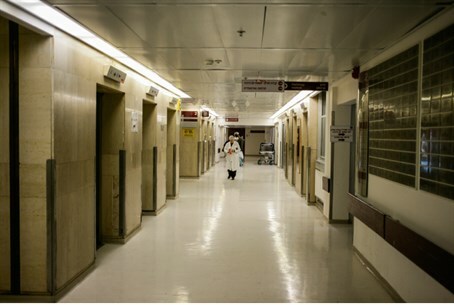 Medical centers across Israel to protest Sunday in solidarity with strikers at Hadassah Medical Center in Jerusalem. Hundreds of medical centers across Israel will go on strike Sunday in solidarity with the ongoing struggle between Hadassah Medical Center in Jerusalem and the Ministry of Finance. Participating hospitals will close their doors between 10 a.m. and 12 p.m. to all but emergency cases. During the strike, hospital staff meetings will be held to explain the reasons behind the Hadassah protests, which have snowballed since breaking last week. The ongoing strike at Hadassah Medical Center in Jerusalem has already driven several senior members of both Hadassah Ein Kerem and Hadassah Mount Scopus to quit, fed up over the hospital's inability to compensate for missing wages and frustrated over the tedious negotiations. The budget cuts have been hurting patients, according to the staff, and the staff is reeling after a month on half-pay. As a result, the centers decided to close their doors Tuesday, operating on the schedule normally reserved for Shabbat and holidays. "We've closed the gates and are urging people to look elsewhere for anything but urgent medical care," Dr. Arbel-Alon stated. "Everything else has been postponed." Following the drastic step, the Knesset decided to hold a hearing about the crisis on Monday, in the Labor, Welfare and Health Committee. Avigdor Kaplan, CEO of the Medical Center, and Professor Roni Gamzo, Director of the Ministry of Health, will both attend the hearing. The Hadassah organization also released an urgent letter to the government and to the public Friday over the strike, urging the state to step up its efforts to keep the hospital going and asking for public support.